A divorce is a difficult process – one that is often not anticipated or planned for. It can be complex when children are involved, but throw in a business and things can become even messier. 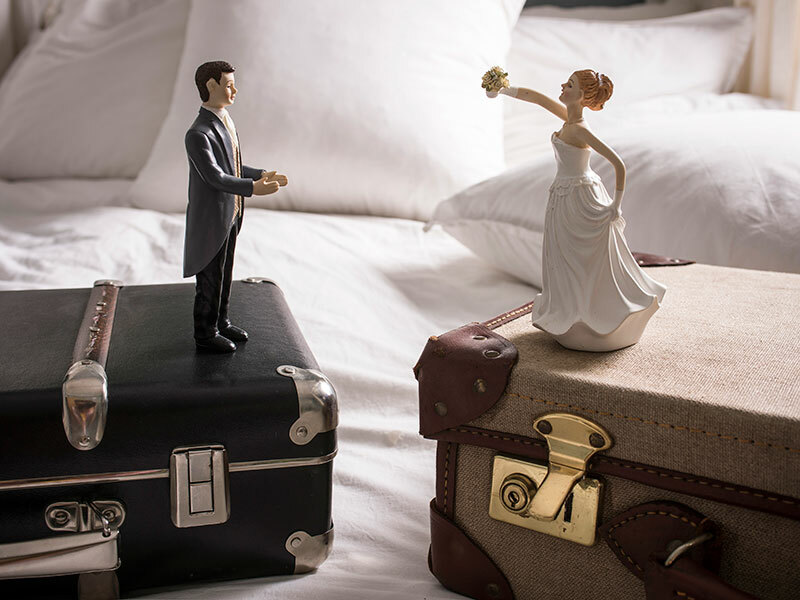 As a commercial lawyer I know that a pre- and post-nuptial agreements are rare and, in all honesty, discussions about shareholder agreements with clearly allocated shares aren’t particularly romantic. I often hear the immortal words, “we are married and in love; we don’t need commercial documents”. This is a natural way to feel, and along with the many things to consider when planning a wedding, making commercial decisions usually isn’t too high up on the list. However, divorces do happen and more often than not they can have a negative impact on a business. So if you are a business owner married to your partner, what are things you need to know? The starting point in family proceedings, if you have no legal documentation, is that the joint assets go into a pool and, until you prove otherwise, there will be a 50/50 division. If a business decision is required and you have an equal ownership of the business (by law or default), but cannot agree, it is a deadlock, this could end up with the company being wound up. We have acted for many clients in this situation. In many cases, one partner plays no real role in the business, but uses the joint ownership/entitlement as a means to negotiate for more in the divorce. One client lost everything because he hadn’t documented his loans to the company. His wife asked for money to keep the company going and just provided the cash. When they split, because he didn’t transparently label his money and everything went into a pool, he lost all his extra investment. Document loans, often partners don’t formally note down any loans made to the business and just put in cash as required, since it’s a family business, this means it is difficult to recoup these in a divorce. What if one spouse has not taken a salary or dividend but the other has? Without an agreement permitting this the other party could now lawfully be entitled to their similar payments immediately causing cashflow/tax issues. You might want to sell the business, as there is no cash to fund a dissolution or buy out the other, but you will need the others party’s consent, then you need to agree a price as well as how you repay each other and in what shares. A dispute would be off-putting to buyers and therefore you would need to decide this first. If assets cannot be sold; an agreement reached or one of you cannot afford to buy the other out the court will be forced to choose a side or worse wind up the company losing you everything you put in. When divorcing your business partner, you need to know who owns the intellectual property (IP). Did you transfer this to the business correctly or is this owned by one or both of you personally? IP can be the business’s main and most valuable asset and could be held to ransom. Without an agreement in place a costly dispute could arise. It’s worse with jointly-owned IP as someone will have to buy out the other if you want to use it and then you must try and agree who will keep the business, the price and you must have the means to pay for it. make sure that your wills mirror this too in the case of your death it governs where your shares go and how this will be dealt with. Any business should start off right and get their house in order with clear legal documents. This protects the business and the the founders in the case of an unexpected dispute or divorce and males it easier to fairly distribute the business interests.